Only $2 per book for quantities of 5 or more. 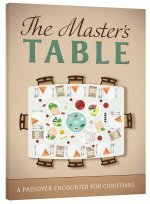 New for Passover this year, we are pleased to announce the release of a short, streamlined, and beginner-friendly version of the Passover Haggadah titled The Master’s Table: A Passover Encounter for Christians. 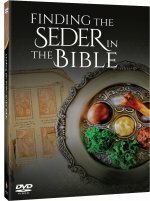 The new English Haggadah delivers the whole traditional seder meal with all the steps, but the readings and recitations are truncated to a manageable size, optimized for use in community seders and outreach functions. A Messianic Jewish Passover Seder. 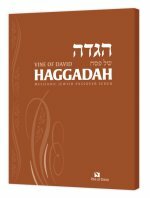 The Vine of David Haggadah is a translation of the traditional Haggadah, containing the complete traditional seder in both English and Hebrew. 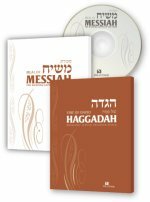 This Haggadah sets a new standard for Messianic Haggadot, both in terms of production quality, content and presentation. It balances the best of both traditional and messianic worlds by respecting the customs and history of Israel, taking seriously the explicit commandment in the Torah to teach our children about the redemption from Egypt and the commandment of the Master to keep the festival in remembrance of him. 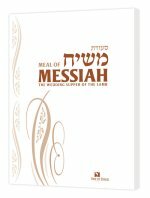 Meal of Messiah is a resource like the Passover Haggadah. On the final day of Passover, which commemorates the crossing of the Red Sea, there is a custom to end the season of redemption with an additional, less formal seder. Called Se'udat Mashiach (Meal of Messiah), this event focuses on the ultimate redemption and the messianic banquet that will take place in the future. 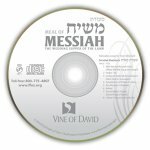 This audio CD contains a cappella table songs to accompany the Meal of Messiah, sung by Troy Mitchell. These Messianic zemirot come from both ancient and modern Jewish and Christian tradition. In celebration of Passover, we thought it appropriate to remember, and even reprint, what appears to be the first messianic haggadah ever produced, printed more that 120 years ago: the Rabinowitz Haggadah. 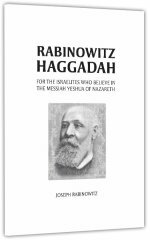 Joseph Rabinowitz (1837–1899) grew up in a Russian Chassidic family and became a devout and pioneering follower of Yeshua. He formed Benei Yisrael, is widely considered the first Messianic Jewish congregation of the modern era. The Rabinowtiz Haggadah is a fascinating look at early Messianic thought and is an inspiring piece of our Messianic heritage.